"An evidence of the transmission of Egyptian symbols through the Gnostics is afforded by a singular engraving in the Azoth Philosophorum of Basil Valentine, a philosopher who flourished in the seventeenth century. 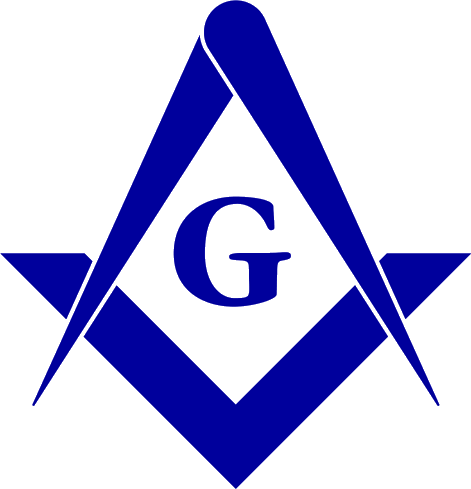 This piece is mostly occupied by Masonic Symbolism. It shows a winged globe inscribed with a triangle within a square and compasses on which reposes a dragon. On the dragon stands a human figure with two heads, surrounded by the sun, moon, and stars. One hand of the figure holds a square, the other holds a compass. In the globe is seen a point within a circle"
Text and figure reprinted from The Illustrated History of Freemasonry Moses W. Redding. Redding & Co., New York: 1892. page 78. Download a 568k black and white tif file. Note that the identity of Basilius Valentinus is unknown and it appears that the writings attributed to him were the product of the last decade of the sixteenth century. It is generally believed, but unproven, that he was born in 1394, and that he was Canon of the Benedictine Priory of St. Peter at Erfurt, near Strasburg. His most famous work, published at Amsterdam in 1671 with a commentary by Theodorus Kerckringius, is Currus Triumphalis Antimonii  The Triumphal Chariot of Antimony. His other works are The Twelve Keys, The Medicine of Metals, Of Things Natural and Supernatural, Of the First Tincture, Root and Spirit of Metals and his Last Will and Testament.